The first week of every April the 8 Limbs 200-hour Teacher Training Program heads to the old-growth forests in the Oregon Cascades to close the training with a personal retreat at Breitenbush Hotsprings, one of the most nourishing places on the planet. 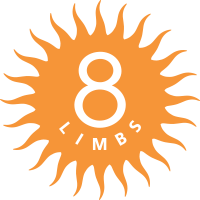 8 Limbs has been making this trek since 2004, and we now head back in the summer for another Advanced Training Retreat in July. These retreats are both open to non teacher training participants, in fact our friend Bill has attended the last 6 years! This most recent training we had the grace to hear a fabulous female duo play one of our evenings off. MaMuse is made up of two chicas from Chico, CA who play cello, mandolin, guitar, ukelele, and flute, in addition to their lovely voices. Their music is SOOOO heartfelt and speaks to the vulnerability and awkwardness of being human in a very special way. It’s yoga music that isn’t yoga music, if you know what I mean. During the show, Chiara, Melina and I kept looking at one another in awe, pleased with our good fortune to be in the right place at the right time. Check them out on their website or on Pandora. We were so touched we invited MaMuse to play at 8 Limbs on their way through town. They will play an acoustic set at 8 Limbs Capitol Hill at 7:30pm (thanks to Tim for graciously moving his class to Chandra to accommodate). Tickets are $10 advance, $15 at door, though no one will be turned away for lack of funds. Kids are welcome, and free. Please bring a cushion or camping chair for your comfort as we have limited seating options. The info is on our website under Special Events, has a Facebook Event, and advance tickets may be purchased online.